Xerox has broadened its SMB portfolio to capture a larger share of the A4 MFP market, which is estimated as a $12 billion opportunity growing at 3% annually. It has launched a range of 29 AltaLink and VersaLink devices, targeted at distributed and centralised environments respectively. The full product range is equipped with Xerox ConnectKey technology, which promises to help channel partners maximise revenue opportunities around workflow solutions. 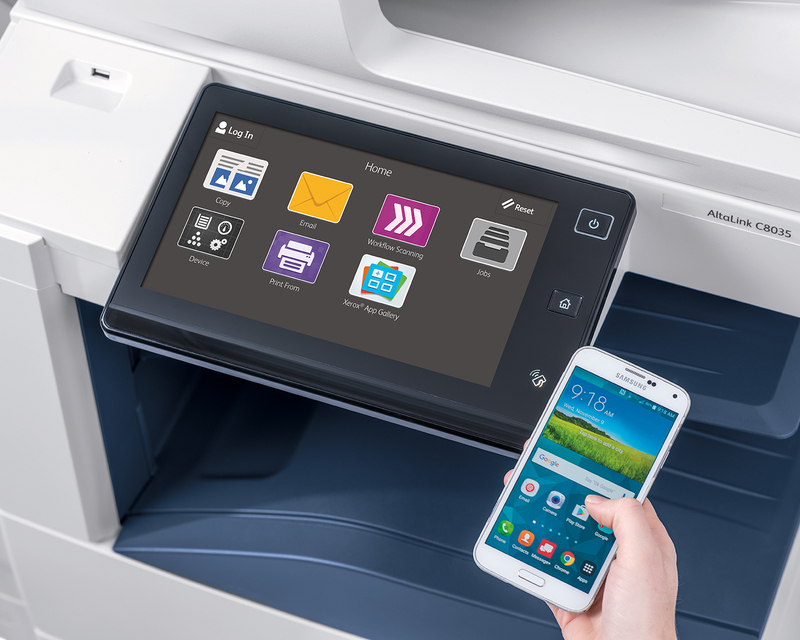 Xerox is positioning its new range of ConnectKey AltaLink and VersaLink smart multifunction printers (MFPs) as “today’s smart workplace assistants”. Xerox is banking on the customisability of the ConnectKey platform as a feature that will be attractive to SMB customers, making the range more profitable for channel partners to sell. ConnectKey devices use a tablet-like user interface, and are mobile and cloud ready – think storing documents on Google Drive or Dropbox directly from the MFP. They also offer advanced printer security features such as intrusion prevention, data encryption and McAfee Whitelisting technology (AltaLink devices only) to prevent malicious malware running on any device. Whilst these features are not necessarily new to today’s smart MFPs, what sets Xerox apart in the market is ConnectKey. This software platform enables the personalisation of productivity functions and apps accessed from the Xerox App gallery. Here lies the opportunity for channel partners willing to invest time and resources in developing customised apps for their customers. Along with ready-to-use apps, channel partners can use Xerox Personalised Application Builder and App Studio to develop and sell custom applications, helping them gain ‘stickiness’ with clients and generate recurring revenue. The print channel is diverse, characterised by resellers with varying levels of maturity when it comes to selling managed print services or solutions. Quocirca’s channel study in June 2016 revealed that just over a third reported their software capabilities as mature (meaning they had been offering software for more than five years). However, software expertise is becoming increasingly important to channel partners who need to capture longer-term revenue opportunities in an increasingly commoditised hardware market. Fortunately, Xerox has addressed this varying channel maturity through a solutions continuum which comprises packaged solutions, ready-to-use apps and bespoke solutions. The Personalised Application Builder encompasses the App Studio, which does not require any programming skills, and the PAB Development environment, where programming skills are required. Information Apps. Interactive messaging solutions, information screens or partner contact details. Support Apps. Integrated service and supplies systems – for instance an interactive helpdesk that requests supplies and service directly from the app. Workflow Apps. Embed apps that enable the capture of paper documents into workflows digital workflows – for instance defining pre-set shortcuts for document capture to destinations (such as cloud storage or enterprise applications). The Xerox Productivity Packs aim to help the many SMBs that operate paper-based processes with their digitisation efforts. These are pre-packaged, high value, turnkey apps designed to help channel partners capture revenue beyond hardware and supplies. Targeted at industries such as education, healthcare and finance, the apps eliminate manual, time-consuming and error-prone tasks by converting paper-based processes into automated digital workflows. Each Productivity Pack contains five workflow applications specific to that industry, so partners can offer industry solutions without the need for in-house software development resources. Some Xerox partners in Europe, including Xtandit and Xeretec, have already made headway with customised apps. UK based Xeretec, for instance, has already seen success using Personalised Application Builder. In particular, it has configured and built unique support based applications aimed at minimising the burden on helpdesks dealing with print-related support issues. These include apps that enable customers to raise and view support incidents directly from the device. Xerox is offering its channel partners a range of support tools, such as a Solutions Playbook with 33 case studies illustrating the value of partner solutions, a Workflow Mapping Tool which helps partners map out an actual paper-based workflow, and demo tools showing customisation and workflow automation. Quocirca believes the ConnectKey platform is a vital tool in Xerox’s channel strategy to increase its share of the SMB market. Xerox now offers a comprehensive portfolio of hardware, software and services to drive channel revenue opportunities in this market. As always, success relies on effective channel engagement, which Xerox aims to achieve by providing a range of tools and support for partners. Xerox is fortunate to have one of the most mature channel partner bases in the industry when it comes to software and service expertise. Whilst the more advanced channel partners will always lead the pack when it comes to reaping the rewards associated with selling customised workflow solutions, it is the critical mass of partners, without the resources or expertise to invest in software development, that will rely on Xerox’s support to maximise their revenue opportunities. Furthermore, the ConnectKey technology not only showcases Xerox’s commitment to innovation but also provides an opportunity to foster the development of innovative software applications amongst its channel community.